Ditch the cab and take a local from Churchgate or CST when in Mumbai. Mumbai has a rich history and an equally rich culture, thanks to its cosmopolitan society and the will to embrace whoever lands in the city. 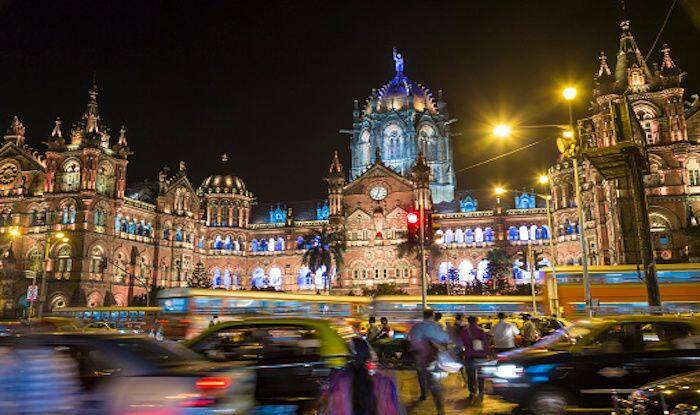 Whether you’re travelling to Mumbai or have started living in the city, you must know that there are infinite things to experience in the financial capital of the country. Every step of the way, there’s something new that’ll attract your attention. But to be called a true Mumbaikar, here’s what you absolutely must not miss. Mumbai has one of the most progressive train lines in the whole country. It’s amazing how the big city is connected from one end to the other courtesy the Mumbai locals. So, if you want to experience the city like a local, you’ve got to hop on to one of the trains. Suppose you want to travel from Colaba to Bandra, instead of taking a cab, take a train from Churchgate. It’ll be faster, cheaper and will give you an experience of a lifetime. Mumbai will spoil you for choice when it comes to food. From happening restaurants, organic cafes, to buzzing bars, the best are in business here. But to get the essence of the city, you must head to one of the many Parsi cafes in South Bombay. There’s Kyani and Yazdani for their scrumptious sandwiches and mawa cakes and Britannia & Co. for the famous berry pulao. Don’t just sit at the Queen’s Necklace, make sure to walk the 3.6km stretch. A walk along this scenic boulevard, with the wind in your hair, will be nothing short of a bliss. You can stop at Girgaon Chowpatty for an ice gola, some pav bhaji and the iconic sev puri. If there’s a good breeze blowing, go right to the end of Marine Drive, known as Nariman Point and be sure to have a cup of tea there with your loved one. Of course what’s a trip to Mumbai without a photograph in front of the beautiful Gateway; but go a little extra and hop on a ferry to Elephanta Islands. The beautiful cave temples which are a UNESCO World Heritage Site, will be worth the effort. Take a walk around Colaba Causeway and indulge yourself as much as you want, but if you want to do what a Mumbaikar does, head to Crawford Market. It’s a huge whole-sale market that sells everything under the sun. You name it and you’ll get it there, at brilliant pocket-friendly rates.